The Washington Institute for Near East Policy’s Michael Knights on Saudi Arabia and its war on the Houthis in Yemen. America’s most controversial ally, Saudi Arabia, is still at war with its southern neighbor. And America itself is still supporting it, for now. 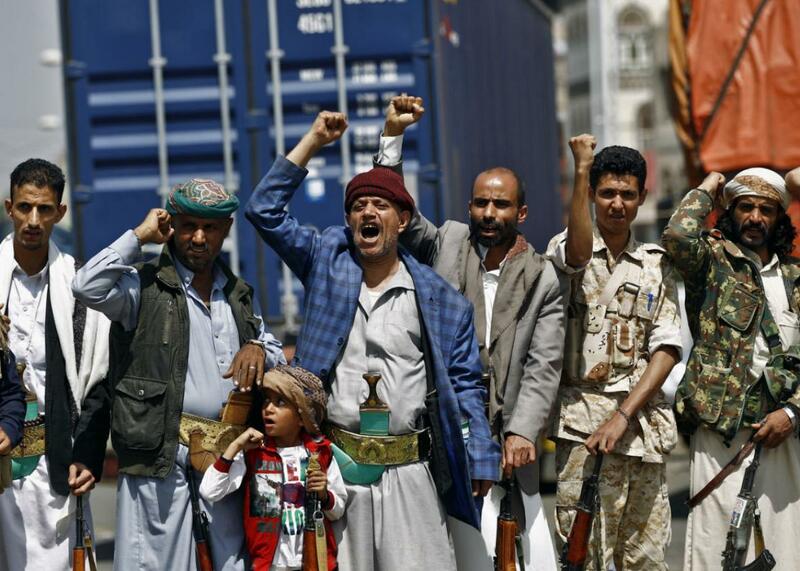 Tribal gunmen loyal to the Houthi movement chant slogans during a gathering in Sanaa, Yemen, on Sept. 10. On The Gist, should we continue to trust Facebook with our data? Saudi Arabia’s disastrous war with rebel tribes in Yemen is 3½ years deep, as is America’s support for it. Michael Knights, senior fellow at the Washington Institute for Near East Policy, details the kingdom’s goals: stopping the missile attacks sailing in from Yemen, restoring the country’s ousted leaders, and countering the rebels’ biggest ally, Iran. In the Spiel, the disappearance of abortion providers, the rise of crisis pregnancy centers, and what Google can do about it.